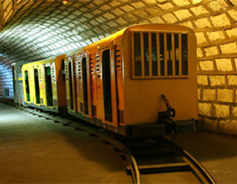 Built in 1992, the Coal Museum of China in Taiyuan city, Shanxi province, is the only national-level coal industry museum in China. 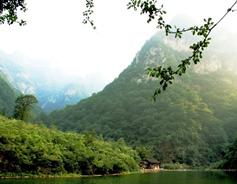 Located 33 kilometers south of Yangcheng county, Shanxi province, Manghe River scenic area covers 58 square kilometers and its main peak rises to an altitude of 1,572 meters. 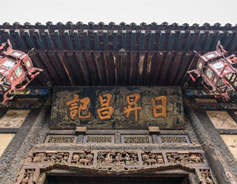 Rishengchang Piaohao or Rishengchang Exchange Shop, which is thought to have been China's first bank, is located on bustling West Street in the Ancient City of Pingyao. 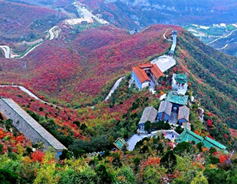 Jueshan Mountain on the south bank of the Danhe River in southeast of Jincheng city has two peaks with the altitude of the main peak being 973 meters. 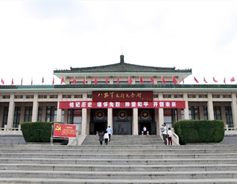 Situated in one of the largest battlefield locales from China's War of Resistance Against Japanese Aggression (1937-45), the Eighth Route Army Taihang Memorial Hall boasts a collection of 8,000 cultural relics, primarily those related to the Eighth Route Army. 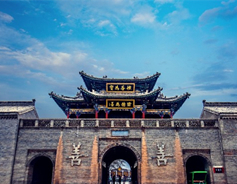 Li Family Courtyard, 38 kilometers north of the city of Yuncheng, Shanxi province, is famous among the grand courtyards of Shanxi merchants for its collection of Chinese, Japanese and European styles.